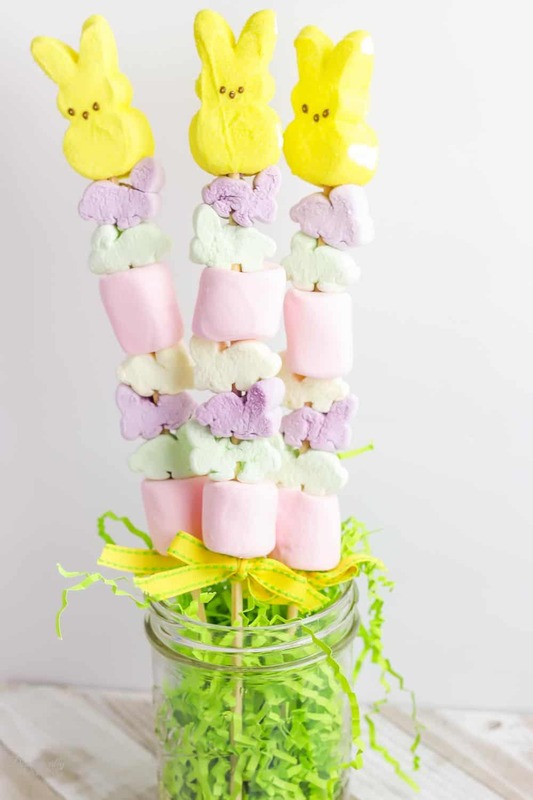 These Marshmallow Peeps Bunny Kabobs are absolutely adorable for Easter! 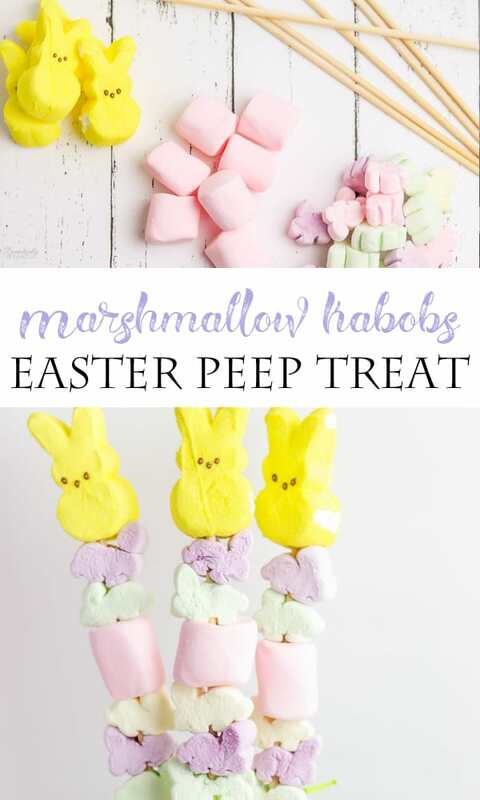 This would be a fun craft project for the kiddos to make on Easter, or you could prep them ahead of time and just let the kids enjoy them on Easter. 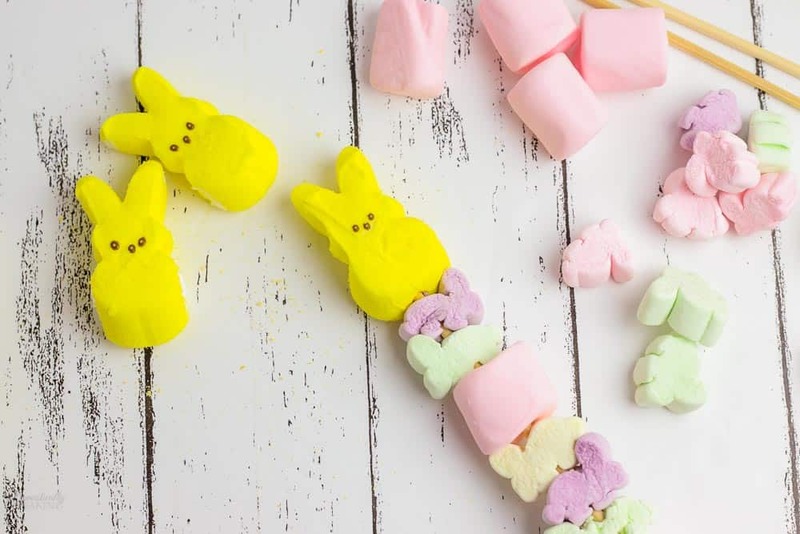 The cute layering of the marshmallow bunnies in all the pastel colors with the bright yellow Peep bunny on top is so festive and fun. You might be able to find all the supplies you need at your local store, but I’ve included links too (affiliate links provided for your convenience). 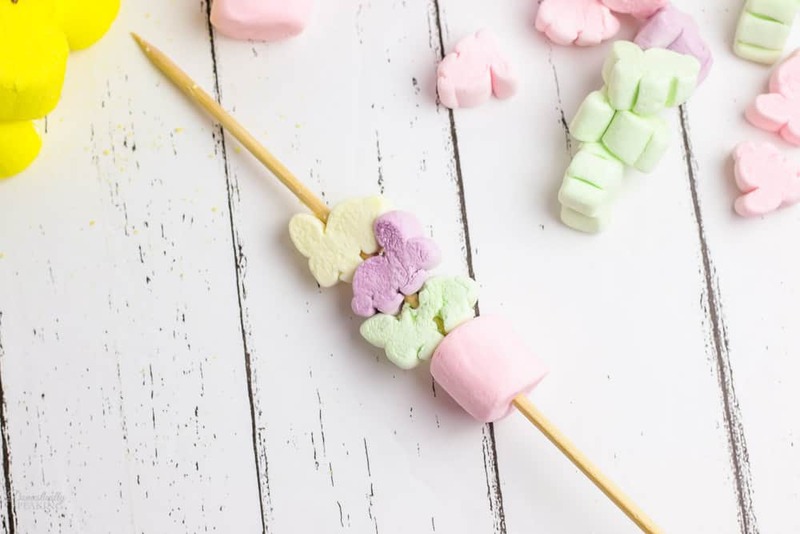 Prepare the kabob sticks by spraying them with nonstick cooking spray or wetting them with water to prevent the marshmallows from sticking. 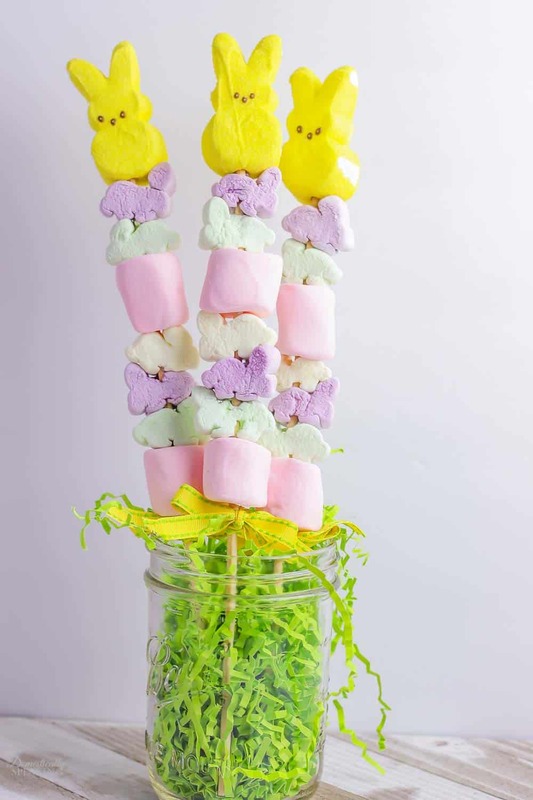 Wipe away excess spray or water before adding the marshmallows. Add a strawberry marshmallow to the center of the skewer. Then place three bunny shaped marshmallows on top of the strawberry marshmallow. 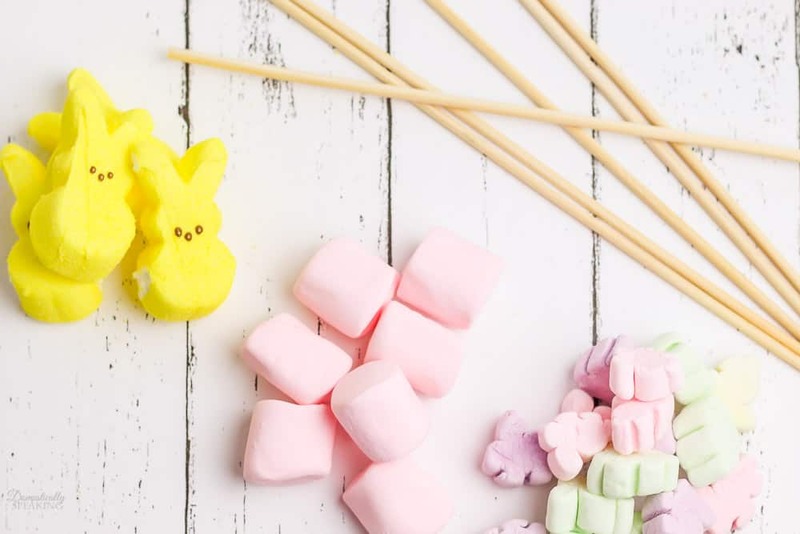 Add another strawberry marshmallow on top of the 3 bunny marshmallows. Then 2 more bunny marshmallows on top. Top the kabob with a bunny Peep. Add a decorative ribbon tied in a bow to the bottom of the kabob. 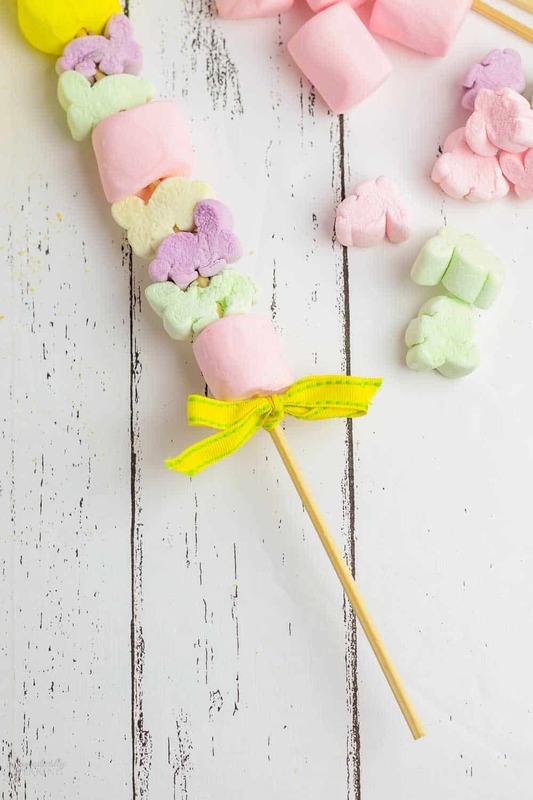 TIP: Keep a damp paper towel nearby to wipe away excess marshmallow as you add each one to the stick. These directions will make 12 kabobs.